Choosing a mountain climb or travel destination has always been exhilarating. Ideas for a next adventure swirl around me during the normal course of my day and once an idea takes hold, the planning, research, reading and preparation is the truly the commencement of the journey. . Placing myself on a map in a foreign land with early ruminations of what I might experience; makes each day leading up to the journey all the more exciting. Themed journeys (even the most contrived) have a special place in my heart, recalling trip in the late 90’s where I ventured from the Anasazi region of the United States to the Empty Quarter of Yemen, came after pondering about desert structures. One may think that all the great journeys are completed, but as the great climber Ned Gillette would say. "you just need to look at old journeys in new ways." Kilimanjaro is a superb starting point for someone just beginning to climb or who is considering some, or all of the 7 summits (the highest points on each continent). More than that, it is such a diverse and terrific trip in its own right, that I find joy in leading this climb even as I approach making the summit for the 100th time! I have led more than 75 expeditions to the summit, and have personally been part of this grand experience with hundreds of people and families from all walks of life. For almost all, it is a lifetime experience that has inspired many to make future climbs or trekking expeditions. 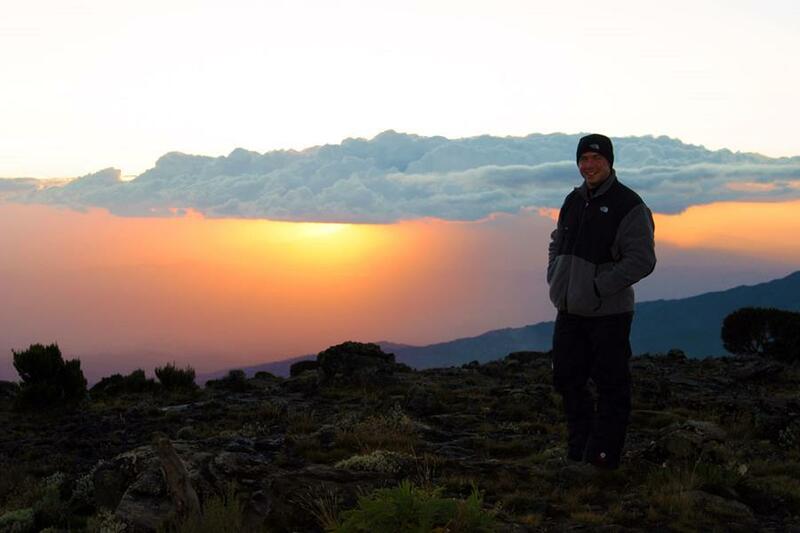 Kilimanjaro is open to any fit enthusiast and all of our scheduled climbs are led by an Alpine Ascents staff guide, having a Western guide lead your trips can greatly enhance the experience. Beyond the enjoyment of the expedition, Kilimanjaro provides an excellent opportunity to learn high altitude mountain skills, to gain personal knowledge or to move onto expeditions that include technical skills and climbing. 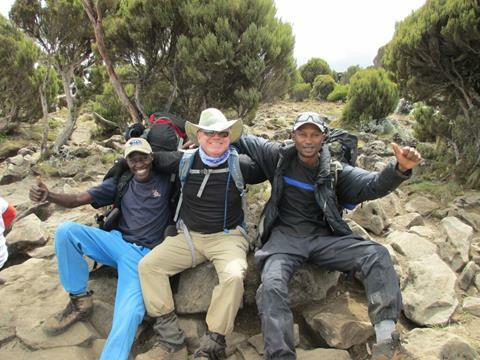 I like to make an important distinction here, one of the hallmarks of any Alpine Ascents expedition; that we are not here to simply guide but see each climb as a teaching and learning opportunity, This is facilitated by an experienced Alpine Ascents guide with an added a cultural dimension as we co-guide with the local Tanzanians, a sublime experience. What’s Kili Got Going For It? 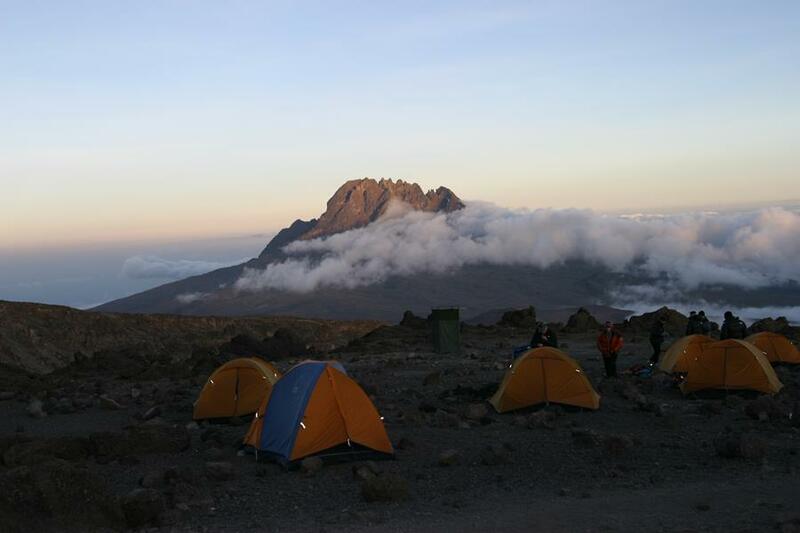 This amazing journey to the highest point in Africa, combines many different aspects over 7 to 9 days on the mountain. All trips led by a western-based professional climber. The physical challenges of trekking to 19,341 feet over 40 miles. The unique and constantly changing mountain landscapes and ecosystems. The in-depth cultural experiences of climbing and spending days with the local Tanzanian guides and porters, the opportunity to learn important back country and climbing skills. During the journey we teach the fundamentals of high altitude physiology - how to ascend safely, the warning signs and what to do about them, when it is appropriate to take medications, how to pace, and breathe and walk above 14,000 feet. Additionally we learn applicable skills such as how to layer and dress for changing mountain conditions, how to eat and drink for best performance, how to prevent and treat cold injuries. For many, this type personalized teaching and coaching is invaluable, and allows participants to reach beyond what they believed was possible. 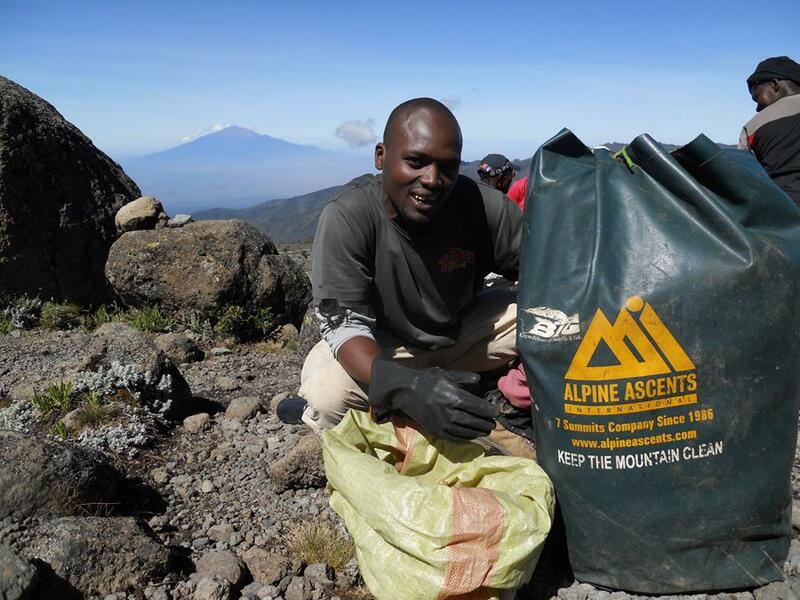 For many years Alpine Ascents has been contributing to cleaning up Kilimanjaro. In the last several years we have seen big improvements from the National Park as well as other responsible outfitters. As recent as five years ago it was not uncommon to find garbage littering the trail, as well as garbage left behind in the permitted camp locations. When we first started the garbage program, we were removing 75-100 kg each 7 day trip, with 2 porters working on collecting, and several more taking out loads throughout the trip. In 2015 the average has been reduced to 5-10 kg! As in many locations, it is important to choose an outfitter that is operating responsibly, and actively working to improve conditions on the mountain. We are proud to be one of the few companies operating on Kilimanjaro with an active garbage program. A country of extreme beauty, and a reliable, and safe family destination, Tanzania has been voted a top travel destination for 2015 by the New York Times, Conde Nast Traveler, and Travel + Leisure. Home to 16 national parks, and several large conservation areas, more than 25% of the country is protected. After our climb in Kilimanjaro National Park, you will visit the famous Northern circuit safari parks including Serengeti National Park, Ngorongoro Conservation Area, and Tarangire National Park. More Tanzania Travel: After our program consider spending extra time to visit the alluring island of Zanzibar, located 50 km off the coast. One of the spice islands, Zanzibar is a step back in time. Known for its unique Swahili architecture, fresh seafood, white sand beaches, and Middle Eastern influences, you can also try your hand at kite boarding on the Eastern coast of the island. No Kilimanjaro expedition is complete without the amazing help and friendship of the local Wachagga peoples (Chagga). 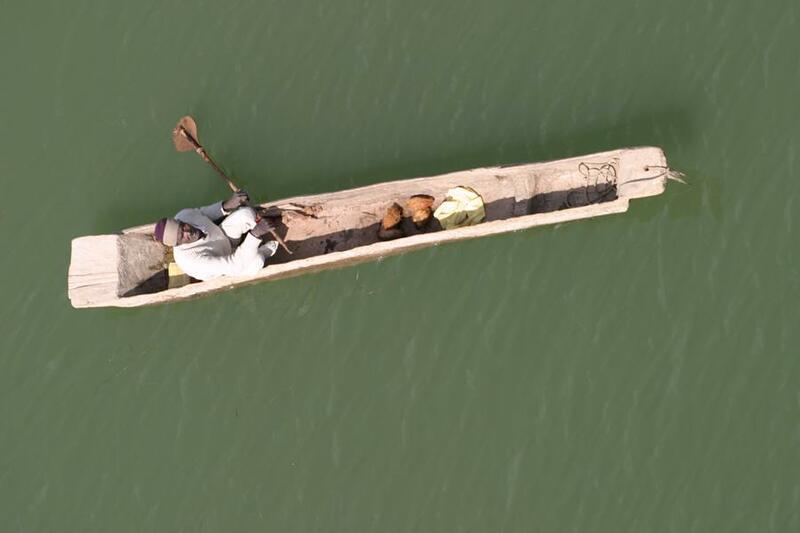 This ethnic group comprises the majority of the Tanzanians working on the mountain as guides, cooks and porters. They are a proud, hardworking, and profoundly friendly people, who add greatly to the functional and cultural aspects of the trip. I have had the pleasure to call many of these folks my friends having spent more than 500 days working together while guiding on Kilimanjaro. Their patience, generosity and genuine interest in their guests' successes always impress me greatly. The Chagga settled on the lower slopes of Kilimanjaro over 500 years ago, after traveling from Kenya and Ethiopia. The mountain is essentially an extension of their backyard. The lower slopes of the mountain provide an excellent location to farm foods, with plentiful water sources and rainfall. Bananas are a staple food, along with beans, coffee, potatoes, cassava and corn, often grown alongside sunflowers. 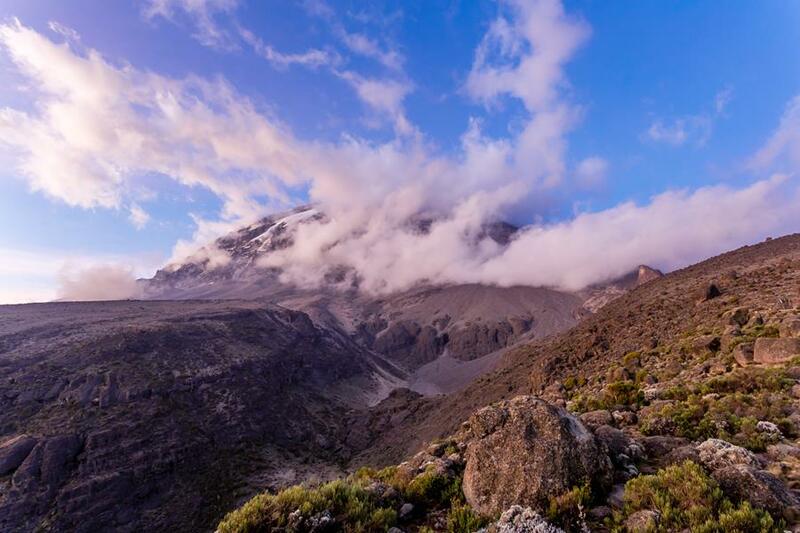 It was a Chagga tribesman named Yoanas Kinyala Lauwo of Marangu Village, that accompanied the first European to the summit of the mountain in 1889; and as the tourism on Kilimanjaro has grown, the Chagga have become an integral part the development. In the 19th century the Chagga were some of the earliest tribes to be visited by the European missionaries, and accordingly they were one of the first to be educated in formal schools. The Chagga are one of Tanzania’s most powerful tribes, prominent in politics, business and tourism throughout Tanzania. The growth of tourism on Kilimanjaro and the surrounding region has provided important jobs, it is estimated that as many as 10,000 work on the mountain each year. 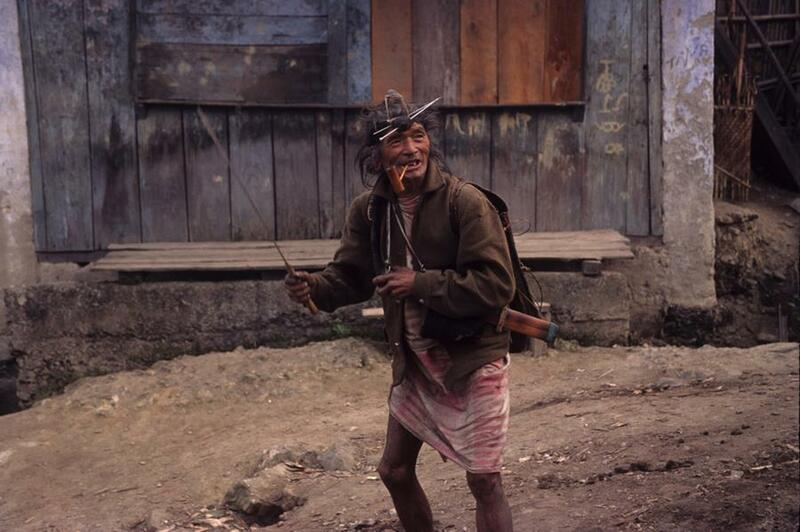 The traditional way of living close to the land is still followed by the majority, farming their land for food and income, cooking by fire, and raising families in tight-knit communities. Those with more income, who can afford the additional costs of educating their children past primary school which creates more opportunities for their families. 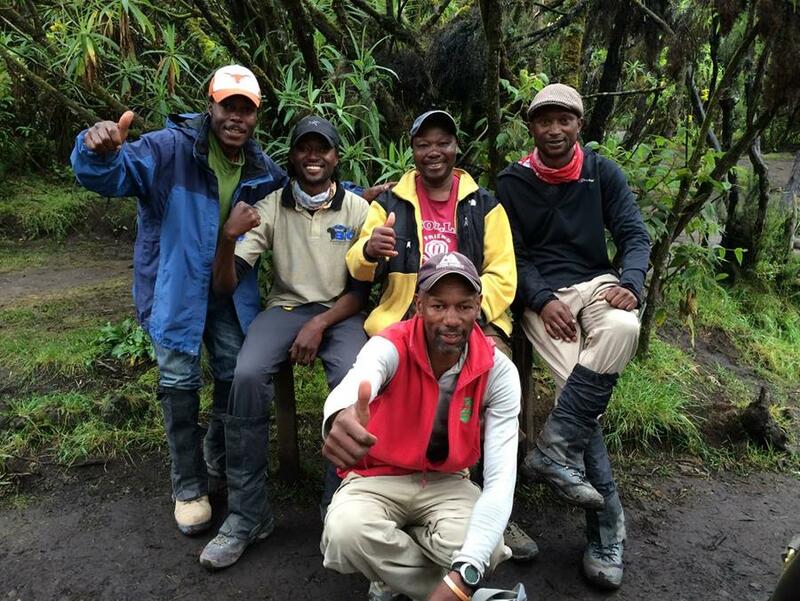 The Chagga guides we work with are very experienced on the mountain. Most have worked alongside our western guides for a minimum of 5 years, with several individuals having 15-30 years of experience. They understand the importance of direct, personalized one on one support for each climber. They have a keen eye for when to lend a smile, encouragement, or a helping hand to move past a challenge. Alpine Ascents and our local outfitter is proud to be a long time member of the Porters Assistance Project which guarantees a high standard of wages and working conditions for those working on Kilimanjaro. Any mountain expedition is the sum of what the entire team brings to the trip. Each team is a profoundly unique group, and creates an experience that reflects the group. This is one of the aspects I enjoy most about this job - guiding folks up the biggest mountains on earth. Every team is different, the challenges overcome, the highs and lows, the positive impact on peoples lives. Ascending big mountains affords many metaphors about how to approach our daily lives. Here are 5 of the most important things to consider from a guide's point of view. 1) Physical training. The most underestimated part for many. Train realistically for your goals and take advantage of extra resources (trainers, recommended training schedules, etc. ), especially if this type of activity is new to you. 2) Organization and preparation. How you prepare for an expedition, has a large impact on the outcome. Come prepared, with the gear recommended by your gear list and our gear staff. 3) A positive attitude, willingness to overcome challenges and help others. 4) An interest in learning and adapting new skills to the challenge at hand. 5) A willingness to share personal knowledge can always help a team enjoy their climb. One of our favorite vegetarian Swahili dishes- simple and delicious. This dish is served country-wide and particularly in the coastal areas along the Indian ocean, where coconuts are grown. In a large saucepan, heat the oil and sauté the onions until softened. Add green or red peppers, curry powder, salt, pepper, butter or margarine and tomato. Simmer for 2-3 minutes. Add the kidney beans with their liquid, coconut milk and water. Simmer gently for 10 minutes, stir in the cooked rice, and heat for another 3 minutes. Ladle into bowls. Top each serving with 1 Tablespoon of shredded coconut and serve. For those who might be interested in other parts of the world to explore, please look at our other non-technical offerings. Each unique, led by an expert, Alpine Ascents staff member. We are proud to be one of the few outfitters that offer both rentals and retail gear, but more importantly have a full time staff to get you properly set up to make a climb. Our gear list conveniently doubles as a rental form. Feel free to chat with our gear department gear@alpineascents.com or take a look at the gear list/rental form at: Kilimanjaro Gear. Ascending Kilimanjaro with a mountain climbing organization and a professional mountain guide will greatly improve your chances of success. 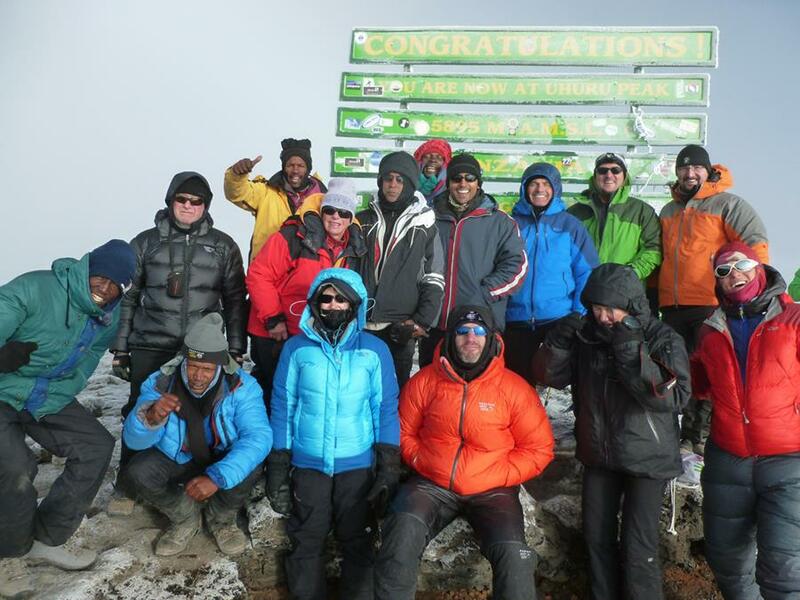 We have been guiding Kilimanjaro for over 20 years with a true summit success rate of more than 90% (counting all climbers who joined the trip, not just ones that made high camp) while touting one of the highest success and safety records in the industry. We were just named one of the Top 40 Adventure Tour Outfitters in the world by Travel + Leisure magazine, which highlighted our Kilimanjaro Trip. We are proud to be the only climbing company chosen! In addition to the recent recognition in Outside Magazine and National Geographic Adventure, our Kilimanjaro expedition was selected by Men's Journal and has been highlighted in the New York Times, MSNBC.com and Businessweek. You are receiving this email as a member of our mailing list.